"I suspect this will be a close game, like the Eagles win over Atlanta or every one of Pats' Super Bowls in the Brady-Belichick era." I wrote last week about how the bookies continue to underestimate the Eagles. They were home dogs in both playoff games; they won both. When you look at the team player for player they match up well with New England; they have the same strong points as Jacksonville (D line, O line, running game), are almost as good in their back seven, and have better receivers than the Jags, including three tight ends who can all catch the ball. So why the lack of props? Because it's a quarterbacks' league, and no one yet has enough faith in Nick Foles to pick him to win the big one. Foles has been a successful starter in the NFL, with the Eagles under Chip Kelly, and though teams and schemes have caught up with him, Eagles' coach Doug Pederson has used him well, with a Kelly-esque offense that lets him make easy reads and moves him just enough to avoid his getting trapped in the pocket. How will New England cope defensively is one story; their secondary is a good one, and they need to win the matchup with the Eagles' receivers. Offensively, they need to neutralise that front four, and this is where your faith in the Belichick-Brady ability to find what works against any team and keep the game close, so that late in the game one QB fails to deliver. For Nick Foles, read Blake Bortles in the AFC title game. If you read my column last week and grabbed this one at +5.5 you'll be feeling happier, but I suspect this will be a close game, like the Eagles win over Atlanta or every one of Pats' Super Bowls in the Brady-Belichick era. Kendricks is a very active linebacker, who's likely to have to get involved in coverage. Because he's so quick he can rack up a few assists on tackles where he isn't the guy to actually make them. My analysis shows this one being such a close matchup that if you wanted to take a pretty good line on the Eagles winning, it might be a decent investment. 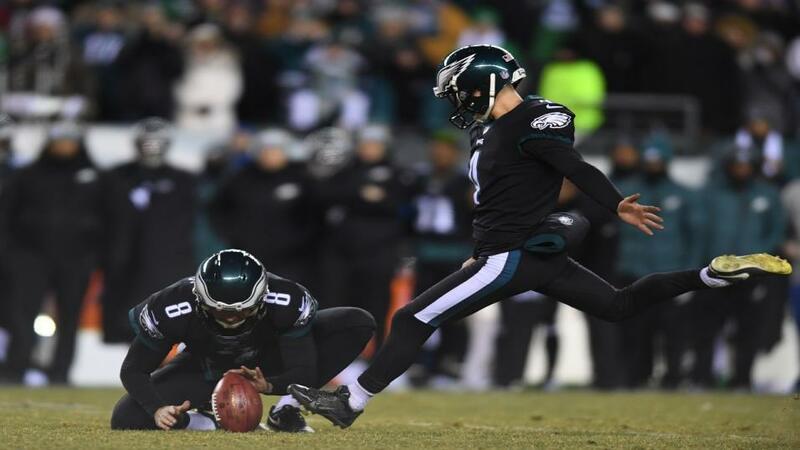 Elliott has missed a few inside the 40, but the Eagles will let him try beyond 50, where the Pats are more conservative with Stephen Gostkowski, who's a someone more consistent kicker. Not bad value here. The Eagles tend to throw to Clement when he's in the backfield, and I can't see them breaking that pattern more than twice. This is no sure thing, but absent the Pats getting the ball in the final two minutes of the half is attractive. Letting the former Patriot score against the team he got a Super Bowl ring with just last season would be the kind of thing a coach would do to give his team a spark. What do I know about Pink? But I do know singers like to milk the face time the anthem brings them. The outside novelty bet would be Janet Jackson showing up with Justin Timberlake at halftime at 10/3. But what do I know about Justin Timberlake, Janet Jackson, or wardrobe malfunctions?